The Philippines and Russia held discussions to forge closer economic cooperation and strengthen two-way bilateral trade and investment relations. Deputy Minister of Economic Development of the Russian Federation Mr. Alexander V. Tsybulskiy met with Undersecretary Ceferino S. Rodolfo from the Department of Trade and Industry (DTI) in Manila during the Co-Chairs’ Meeting of the Philippines–Russia Joint Commission on Trade and Economic Cooperation (JCTEC) on Thursday, 26 January 2017. The Co-Chairs’ meeting discussed various areas of cooperation—including trade and investments, agriculture, industry, energy, manufacturing, infrastructure, transport, tourism, science and nuclear technology, labor and higher education—that will be tabled during the inaugural session of the recently created JCTEC. The inaugural session is scheduled to convene in the first half of 2017 in Manila in preparation for the visit of President Rodrigo Duterte to Russia. The JCTEC is the primary bilateral mechanism for both sides to discuss ways to enhance trade, investments and economic cooperation. It was established in 18 November 2015 under the Agreement signed during bilateral talks on the sidelines of the 23rd APEC Economic Leaders’ Meeting in Manila. The Co-Chairs’ Meeting was held following the executive ratification of the Agreement by President Rodrigo Duterte and mutual high level policy pronouncements on deepening bilateral engagement. Undersecretary Rodolfo said that “the JCTEC complements the administration’s policy to engage other countries in the Asia Pacific region. The engagement has generated strong private sector interest and we see great prospects for collaboration in many areas.” Representatives from business organizations such as the Federation of Automotive Industries of the Philippines, Philippines-Russia Business Assembly, Philippines-Russia Business Council and Pilipino Banana Growers and Exporters Association were also present during the meeting. In 2015, Russia was the Philippines’ 31st trading partner (out of 223), 44th export market (out of 211), and 27th import supplier (out of 203). The top Philippine export product to Russia is carrageenan, seaweeds and other algae; while the top import of the Philippine from Russia is petroleum oils and oils obtained from bituminous minerals. 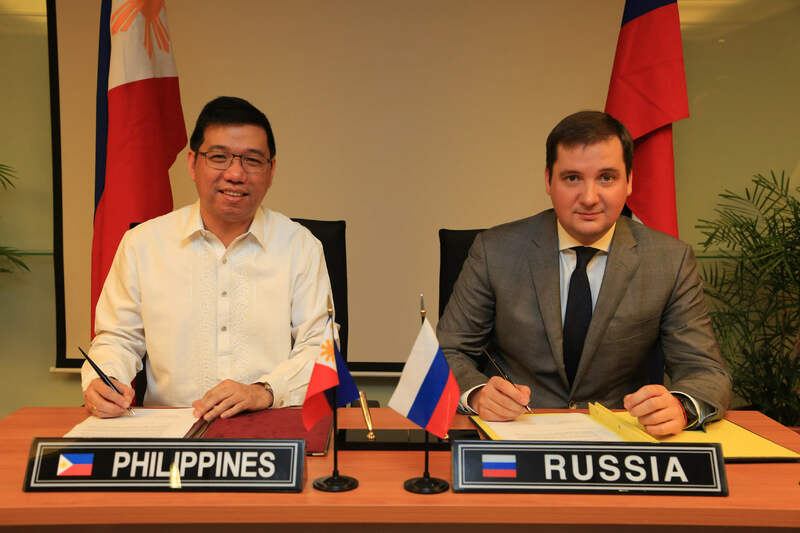 To improve current bilateral trade relations, the Philippines is set to maximize opportunities in the Russian market as it becomes more globally integrated. The convening of the 1st Philippine-Russia JCTEC will be an ideal opportunity to initiate deepening of bilateral economic ties.